TheseAreMyStamps can help you with your blog in a couple of ways. An embeddable gallery can show your users all of your cards at a glance. One of the things we have heard from customers is that they have a hard time finding a card in the blog when they want to make it a few weeks later. Check out the gallery to see how we show all of your cards. The following posts show some of the different link layouts you can have in your blog posts. Top 5 2015-2016 Catalog Must Have Items! 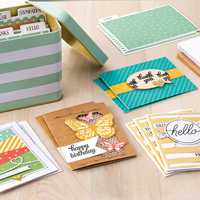 This fabulous organizing tin makes a whopping 16 cards! I love this easy time saving project tin! 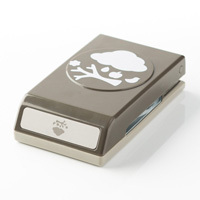 This stamp set is perfectly made to coordinate with the Tin of Cards! The new In-Colors are so fresh you must have them all! 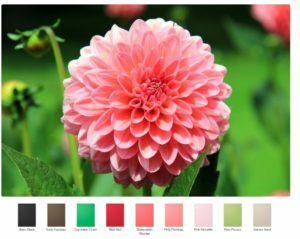 This cardstock and stamp pad kit is a great way to start your in-color collection! 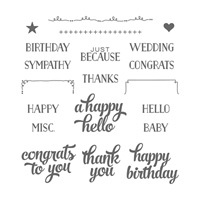 Not only is this a versatile and adorable stamp set, but for every set sold Stampin’ Up! donates a portion to the Ronald McDonald Charities! 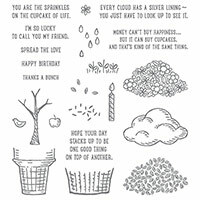 The perfect coordinating punch for the Sprinkles of Life stamp set!